Gmail is still Google's flagship email product, but Inbox is growing and evolving in interesting ways. Today, Google is announcing two improvements to search functionality in Inbox. 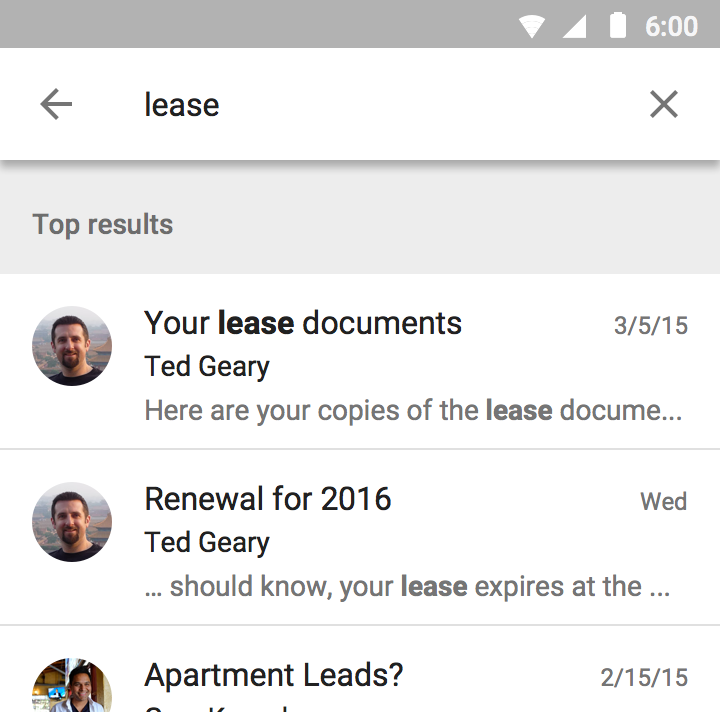 Searches can now bring up quick answer cards, and your search results will be grouped by relevance. When you're looking for a specific piece of data, Inbox is now smart enough to show it in a card at the top of search results. The GIF above shows you what that'll look like for things liker reservations and package tracking. Should you follow through with a search, your results will be organized by relevance now. The top results section should have what you're looking for, according to Google. There's still a full list of results below that, though. Both features appear to be live right now, so a new APK isn't needed. We can't rule out a staged deployment, though.